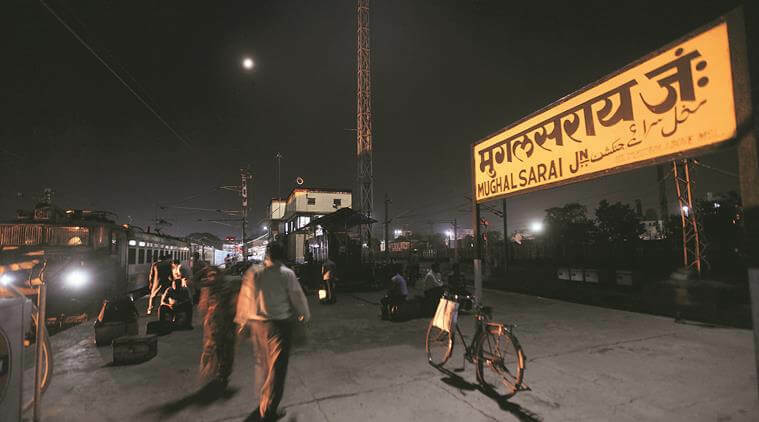 From Tomorrow Mughalsarai Junction becomes Deendayal Upadhyay Junction. The approval release when Uttar Pradesh Governor Ram Naik pass the Paper by Signing on it. Deendayal Upadhyay was an RSS thinker and also the co-founder of Bhartiya Jana Sangh which later becomes Bhartiya Janata Party. The irony is Deendayal Ji killed in a Train theft on February 11, 1968. Later officials found his body at one of the Railway Tracks near Mughalsarai Junction. Who knows after 49 years the Railway Station Got his name. Uttar Pradesh Chief Minister Yogi Adityanath, BJP Party President Amit Shah and Railway Minister Piyush Goyal inaugurate the New name. Beside it, these three leaders flag off a passenger as well as a goods Train. The interesting thing is this Goods train has the woman crew only. It is the first time in our country when only women crew fully automates a Goods Train. These three leaders also inaugurate another project at Mughalsarai i.e. Smart Yard. BJP Government honours Deen Dayal Uphadyay by naming serval Yojana and Institutions after him. Some of which are Deen Dayal Research Institute, Deen Dayal Upadhyaya Grameen Kaushalya Yojana, Deen Dayal Upadhyaya Gram Jyoti Yojana etc.